By chris / 13 June / Releases, Updates / 0 comm. The album will be released June 15th 2018. These voices are like no choir you ever heard. They can form pale clouds of sound, or pools of glowing light, or bright shafts of pure sound. Phrases can soar before suddenly reversing direction and travelling backwards, but along a different tangent. Rising from the luminous sound beds — sometimes lush, sometimes austere – float a disembodied melody from an ancient world, an overheard conversation, a whisper from the past, the rumblings of a distant storm, the babble of children, or something that sounds like the ambient chatter of an asteroid belt. The individual strands cluster, entwine, swell, and then disperse, perhaps to leave a single voice exposed in all its natural beauty before others return to take up its cues and head off in a new direction. 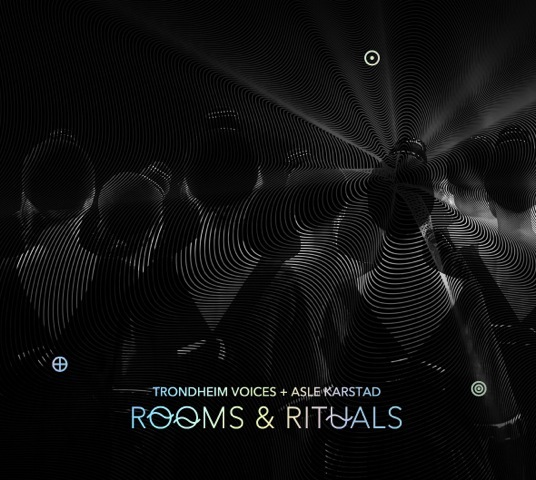 Trondheim Voices draw from a pool of up to 10 female singers, performing usually in a group of seven to nine, presenting music that is mostly improvised but can include composed or traditional materials. In the past they have given the premieres of specially commissioned pieces by distinguished composers including Marilyn Mazur, Jon Balke, Christian Wallumrød and Ståle Storløkken. Their performances are often site-specific and make use of the element of mobility enabled by their use of a unique technology. As they move around the performance space, the singers wear small wireless boxes featuring controls that enable each one to modify her voice through the manipulation of effects that include reverb, delay, pitch-shift and looping. These boxes are called Maccatrols, developed and designed exclusively for the ensemble by Asle Karstad and Arnvid Lau Karstad. The voices are the sole sound source and, as unlikely as it sometimes sounds, everything the audience hears is created in real time. The organic and the technological elements combine to make something genuinely innovative. This album consists of pieces taken from several performances, including one at the Kaiser Wilhelm Memorial Church in Berlin in 2017. As the director of Jazzfest Berlin, it was my privilege to introduce them to an audience that quickly fell under the spell of their quietly dramatic combination of musical and theatrical elements. It was a performance that made full use of the meditative atmosphere created by the modernist church’s hexagonal space, its stained-glass windows and its special acoustical properties. Two pieces here are from that concert, one of them (“Hymn”) featuring a Norwegian folk song against a backdrop that shows what strikingly sensitive, original and emotionally resonant effects the singers and their sound designer can create from apparently simple materials. For both the singers and their audience, this is music in a constant state of discovery.